An advocate dedicated to preventing Aboriginal families from being evicted from their homes has been named Fremantle’s Citizen of the Year. Jennifer Kaeshagen is the founder and director of the First Nations Homelessness Project, which supports at-risk families and specialises in helping families avoid eviction from public housing. With the assistance of an army of volunteers, the project has reduced the eviction rate of Aboriginal families from public housing by 25 per cent. In the past 15 months alone Jennifer and her team have prevented the evictions of more than 100 households. Nurse and midwife Ronelle Brossard was named Fremantle’s Senior Citizen of the Year for her decades-long commitment to providing culturally diverse women access to health and well-being support services. Ronelle was a champion for the founding of the Meeting Place in South Fremantle, which still provides community programs today, and in 1984 established the Fremantle Women’s Health Centre which provides medical and counselling services as well as a program of health education and activities. Fremantle Young Citizen of the Year award was presented to local Nyoongar woman Sally Gamble, who works with the Fremantle Child and Adolescent Mental Health Service and volunteers her time with the Hilton PCYC. The Active Citizenship award was won by the Fremantle Men’s Community Shed, while a certificate of appreciation was presented to Boomerang Bags Fremantle for their efforts to reduce plastic bag use. Mayor Brad Pettitt said all of the Fremantle Citizens of Year embodied the community spirit Fremantle is famous for. 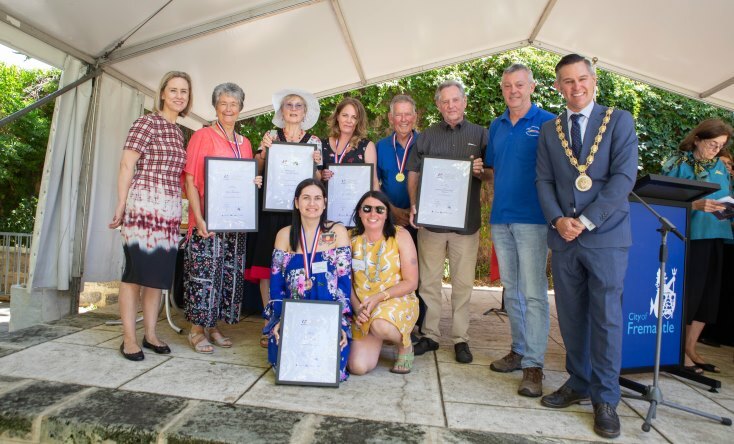 “The Citizen of the Year awards recognise and celebrate active citizenship and significant contributions to the life of our community,” Mayor Pettitt said. “All of this year’s recipients share a passion for Fremantle and a love of its people, and they’ve all have made huge sacrifices to provide help and support to people who need it. To watch a report on the work of the First Nations Homelessness Project click here.